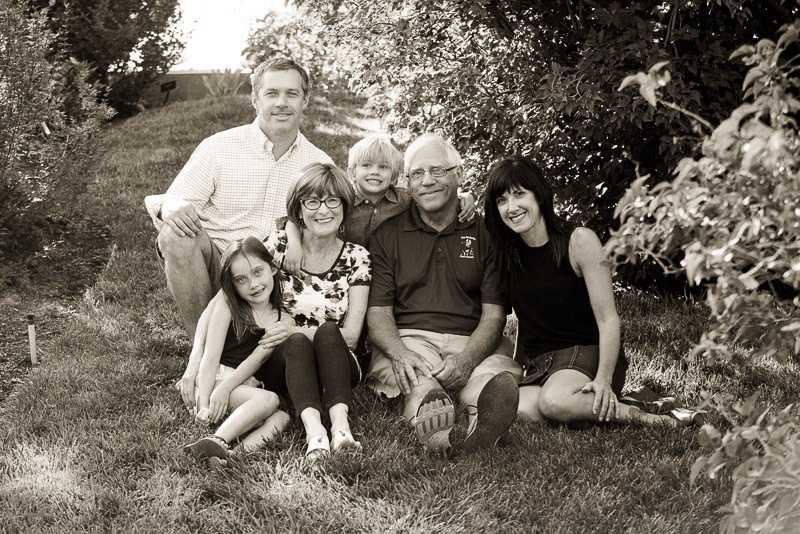 Denver extended family photography - What is extended family photography? It's what we call sessions with large numbers of people, family reunions, or family gatherings where multiple family units gather for photos together. When large families get together, it's such a wonderful opportunity to get photos for posterity. Each family unit can be photographed, then the entire group, the matriarch and/or patriarch with just their children, then with just grandchildren, then maybe just the great grandchildren. Imagine photos of all the cousins together, all the siblings together, all the men, all the women, and individual photos of grandparents with their grandchildren. If you come from a large family, you know that getting everyone together can be hard and so when you do, it's important to make sure you record that time together. Not to be maudlin, but reality is that as we age, people leave us and the first place we go is to look back at our photos with our loved ones. You want to have pictures of your kids with your grandparents because you want your children to remember that they had a connection with those great-grandparents. Here's a sad but true fact: two people from photos above have left this world since we created these images. Can you imagine how glad those families are to have their photos?